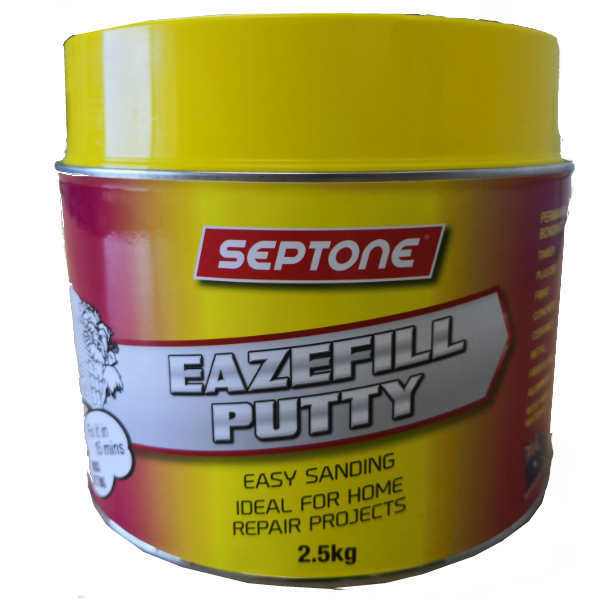 Eazefill is a high-quality polyester filler designed for trade or handyman use in the filling of holes, cracks and splits in timber, damaged wall panelling, masonry guttering, furniture and other repairs around the house. Its creamy texture makes it easy to apply with no drag and no sag even at high build levels. It is manufactured under vacuum to substantially reduce the incidence of pinholing; and the viscosity, gel and cure are strictly controlled to provide consistent quality. Eazefill exhibits minimal surface tack, easy sanding and good featheredging and it provides excellent adhesion over timber, plaster, fibro, concrete, ceramics, metal, fibreglass, aluminium and most rigid materials.